HOTTEST TICKETS IN TOWN NOW ON SALE FOR SWOT FASHION SHOW! Tickets are now on sale for the 27th annual SWOT Fashion Show on Monday 5 March. 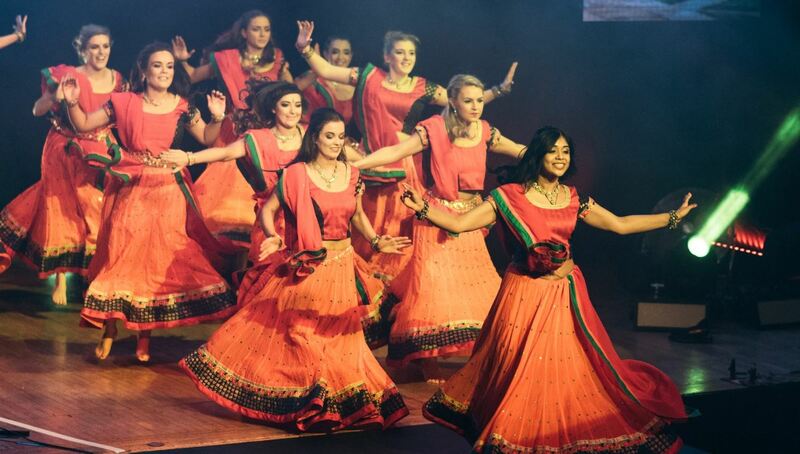 The event – which aims to raise over £70,000 for the award-winning Students Working Overseas Trust – will involve over 200 fourth year Queen's medical and dental students (plus one or two University staff) taking part in 15 specially choreographed dances in the Sir William Whitla Hall. The highlight of the SWOT calendar, the Fashion Show has won ‘Queen’s Student Event of the Year’ on at least three occasions in the last five years. The eagerly awaited evening of fashion, funky music and the latest styles in hair and makeup regularly draws in over 1,200 supporters and showcases some of the UK and Ireland's best-known designer brands. The SWOT Fashion Show is the culmination of a year-long campaign to fund aid and medical supplies for hospitals and clinics in the developing world. In addition to delivering aid, promoting health care education and honing their medical skills, Queen’s medical students undertaking their 6-week placements in third world countries this summer will personally deliver the proceeds of their year’s fundraising (including the Fashion Show) directly to where it is needed most. This avoids the middleman, saves on shipping and government costs and ensures that 100% of the money raised goes directly to where it will make a real difference. So from the coolest choreography, to outfits that are out of this world, this is one show that even those dedicated followers of fashion from among the University’s alumni body, will not want to miss! 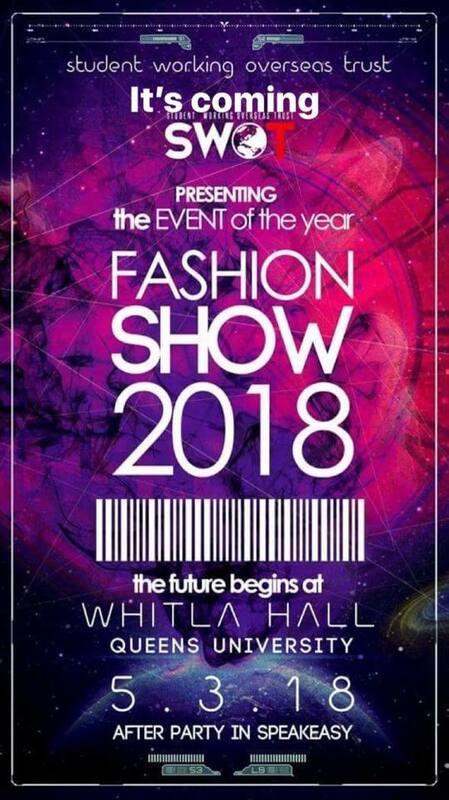 Tickets are priced at £30 and include light refreshments and treats during the interval plus entry into the Fashion Show Afterparty in the Students’ Union. Tickets are currently available from Queen’s Students’ Union and from members of the SWOT team. To support the Students Working Overseas Trust, or for further information, follow them on Facebook/swotqub or Twitter or get in touch by email. For those unable to attend this year’s Fashion Show, donations can also be made via the SWOT JustGiving Page! To support medical research at Queen’s, visit the Development Office website or contact Helen Surgenor, (Head of Medical Fundraising), telephone 028 9097 1568. General inquiries to Gerry Power, Communications Officer, Development and Alumni Relations Office; telephone: +44 (0)28 9097 5321.